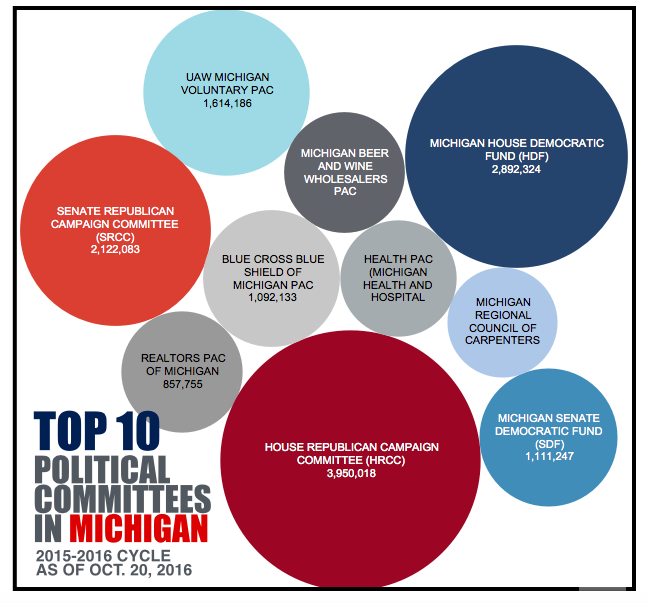 LANSING — The most active 150 political action committees (PACs) in Michigan have raised $43.19 million so far this cycle, a 24 percent increase over where the top 150 PACs were at the same point in the 2012 cycle. The total — $43.19 million — is the most the top 150 committees have raised through Oct. 20 in a two-year presidential cycle in the state’s history. It’s up 45 percent over where the top 150 PACs were as of Oct. 20, 2004. A full list of the top 150 PACs is available by clicking here. In the last fundraising quarter, some of Michigan’s major political donors chipped in to help set that record pace. The United Auto Workers Michigan Voluntary PAC reported raising $1.1 million between July 21 and Oct. 20. The wealthy West Michigan-based DeVos family gave $360,000 to the House Republican Campaign Committee. And a new PAC funded by Republican state senators raised $211,100. Much of the spending has been focused on the battle for control of the Michigan House. In non-presidential cycles, races for governor, attorney general, secretary of state and the Senate are also on the ballot, so there is generally more fundraising in those cycles. But in presidential years, the House has the spotlight. In that spotlight, the House Republican Campaign Committee (HRCC) and the House Democratic Fund (HDF) — the main committees of the two House caucuses competing for control — have been raising lots of money. HRCC has raised $3.9 million from Jan. 1, 2015, through Oct. 20, 2016, acccording to its campaign finance disclosures. HDF has raised $2.8 million. They are the top two fundraising committees in the state, and both are raising more than they have in past cycles. Through Oct. 20, 2014, HRCC had raised $3.2 million in the 2013-2014 cycle, and HDF had raised $2.7 million. Through Oct. 20, 2012, HRCC had raised $2.4 million in the 2011-2012 cycle, and HDF had raised $2.0 million. In the last quarter alone, from July 21 and Oct. 20, HRCC raised $1.18 million and HDF raised $830,020. Fundraising reports for the quarter were due to the state this week. HRCC’s top donors included nine members of the DeVos family who each gave $40,000 to combine for $360,000. The Michigan Republican Party, Autocam president John Kennedy, his wife, Nancy Kennedy, and the Republican State Leadership Committee also each gave $40,000. For HDF, its top donors included numerous leadership PACs and candidate committees connected to its members. The Bernstein PAC also gave $25,000, the International Brotherhood of Electrical Workers PAC Voluntary Fund gave $15,000 and former Sen. Gretchen Whitmer’s Whitmer Leadership Fund gave $10,000. — A Super PAC that formed in June called Working Michigan raised $338,218 last quarter. It spent $255,398 with a majority going to pay for canvassing for key House Democratic candidates, according to its campaign finance disclosure. The Super PAC received $200,00 from the UAW Michigan Voluntary PAC and $92,000 from Policy Over Party, which is tied to the Operating Engineers. — The Michigan PAC of the national Democratic Legislative Campaign Committee, which works to elect Democratic state lawmakers nationwide, raised $206,277 last quarter and shifted the bulk of the money to the 21st Century Fund, an account of the Michigan Democratic Party. — A PAC that formed in August called Michigan First received $211,100 in contributions last quarter, mostly from other PACs tied to Republican state senators. Moving Michigan Forward, Sen. Arlan Meekhof’s (R-West Olive) PAC, gave $100,000. Michigan First spent $163,557 last quarter, mostly in expenditures to benefit GOP House candidates. — Gov. Rick Snyder’s Relentless Positive Action PAC raised $161,275 last quarter. The PAC spent $38,327. Of that, $16,000 was given to Republican State House candidates. Relentless Positive Action’s top donor was William Parfet, owner of the Northwood Group, who gave $125,000. 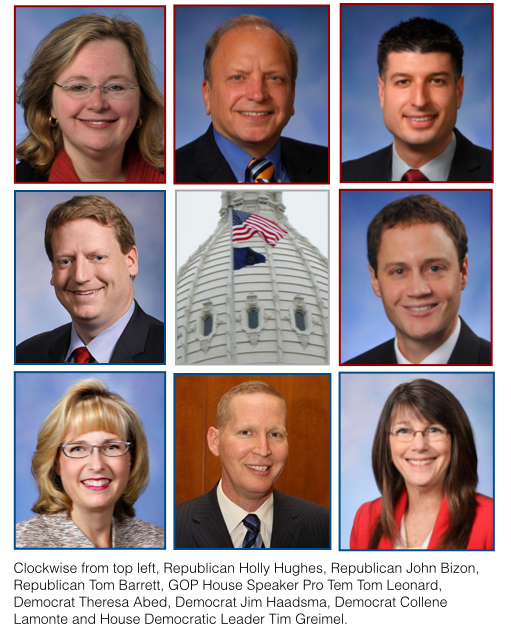 In 2014, Republicans won a 63-47 majority in the Michigan House. Democrats have to net nine seats to take control. Two committees controlled by Senate Majority Leader Arlan Meekhof (R-West Olive) are leading the way in fundraising when it comes to lawmakers' leadership PACs this cycle. Meekhof’s Moving Michigan Forward Fund has raised $512,365 since Jan. 1, 2015. His Moving Michigan Forward Fund II has raised $505,211. Last quarter, Moving Michigan Forward raised $152,350. The top donor to Moving Michigan Forward for the quarter was Doug DeVos, Amway chief executive, who gave $10,000. 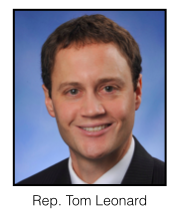 For the last quarter, House Minority Leader Tim Greimel’s (D-Auburn Hills) Greimel for Michigan PAC and House Speaker Pro Tem Tom Leonard’s (R-DeWitt) Michigan Values Leadership came in just behind Meekhof’s top fundraising PAC. 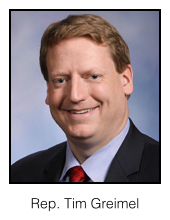 If House Democrats win the majority, Greimel is expected to be the next House speaker. If Republicans win, Leonard is expected to be the next speaker. Greimel for Michigan raised $118,500 last quarter. Top donors included the Michigan Association for Justice’s Justice PAC, which gave $20,000, and the Operating Engineers Local 324, which gave $15,000. Since Jan. 1, 2015, Greimel for Michigan has raised $288,000. Michigan Values Leadership raised $114,050 last quarter. Top donors included the PAC of Comcast Corp and NBC Universal, which gave $8,500, and the Michigan Chamber PAC, which gave $5,000. Since Jan. 1, 2015, Michigan Values Leadership has raised $411,075.